BC's biggest party on two wheels is back! 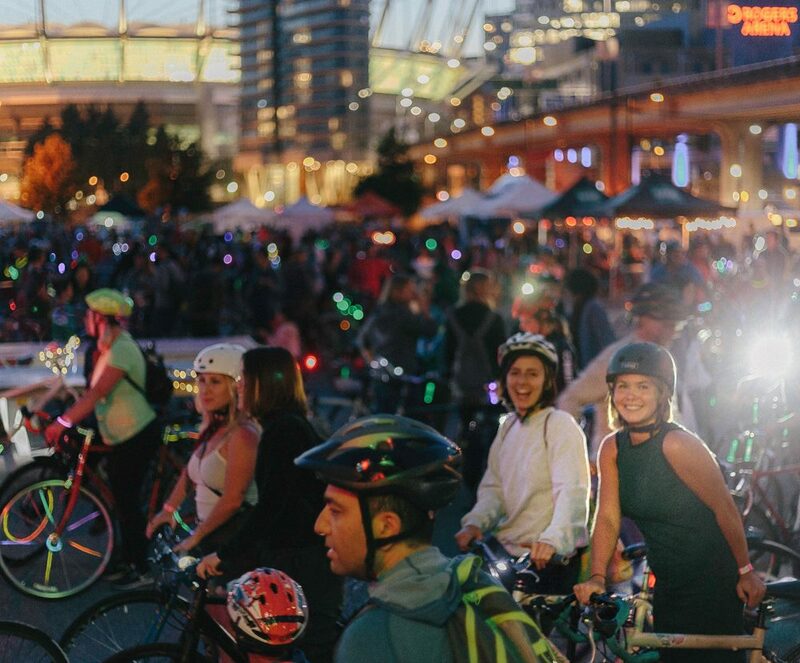 Bike enthusiasts of all ages and abilities will form a luminous parade through Vancouver's city streets. Pedal on car-free roads with 5000 other cyclists, explore some of the city's most iconic bike routes, and take in the sights after dusk. and one entry to win a Two Wheel Gear Bag! We're working hard on our 2019 route.. check out the ride from last year in the meantime. This is a celebration but also a cause! By signing up to ride, you are helping us show decision makers that community members want to bike. Evidence like this can lead to improved bike infrastructure and more bike events. Help us share the event! Looking to gain event experience? 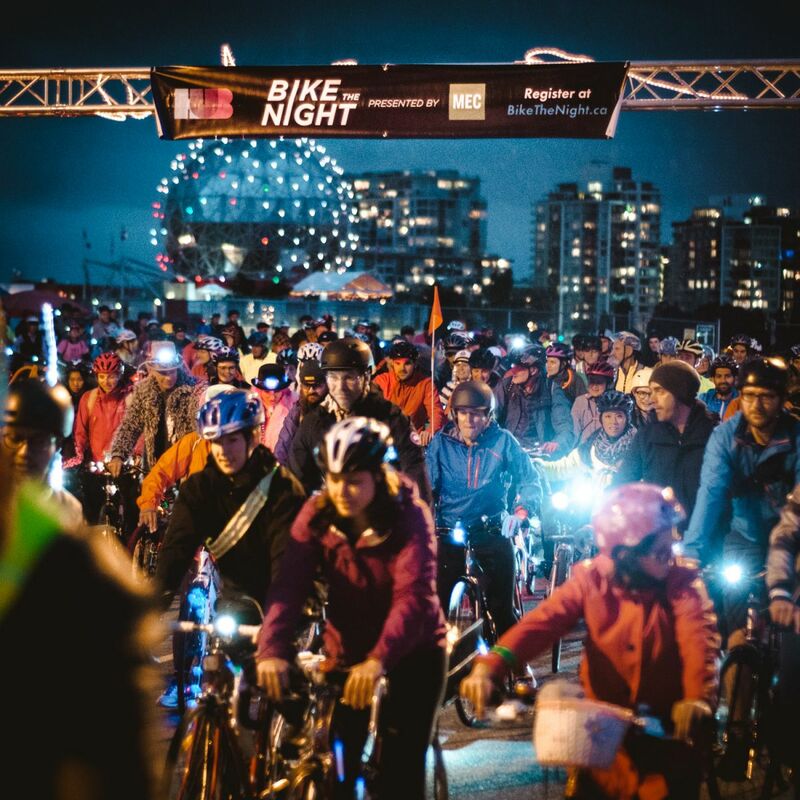 Volunteer for Bike the Night 2019 and be part of one of the most exciting bike events this year! Join an awesome community and celebrate with us at the volunteer appreciation party. Promotion Team: Help distribute flyers and posters to bike shops, stores, and community centres in Vancouver! 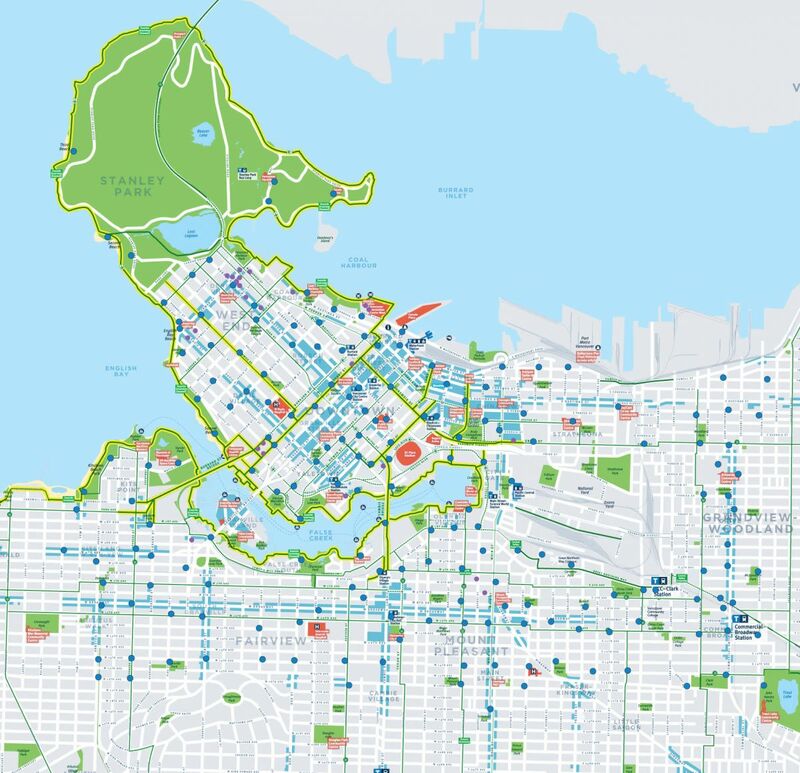 Volunteers will be in teams of two or more and will bike around Vancouver to promote the event in August..
Sustainability Crew: Help us make sure we leave no trace! You can help at the pre-party and/or following the riders on bike! Take Down Team: Enjoy the event and then help us clean up! We are always short on volunteers/staff for take down, your help would be so appreciated! 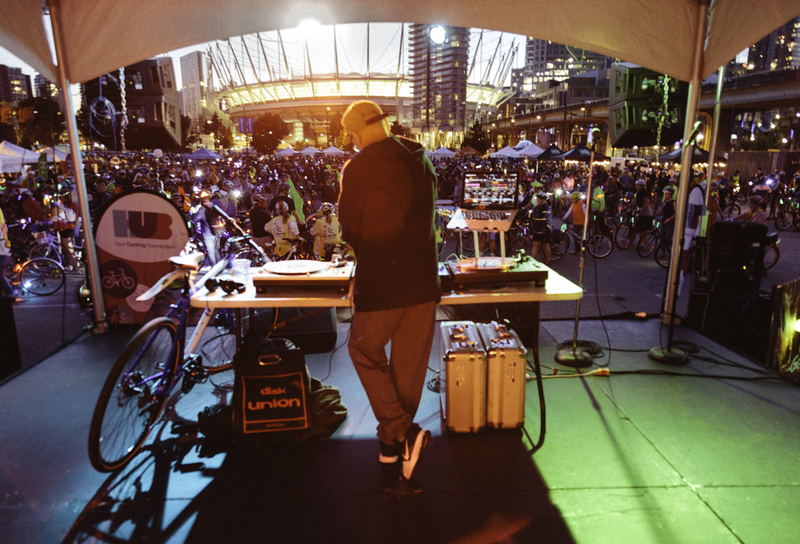 If you are interested in being part of HUB's biggest event, email volunteer@bikehub.ca. How do I get the reduced ticket price? It's more fun with a crew! Grab 9 friends, family or colleagues and you'll be eligible for our group ticket discount of 25%. Email events@bikehub.ca to register or learn more! 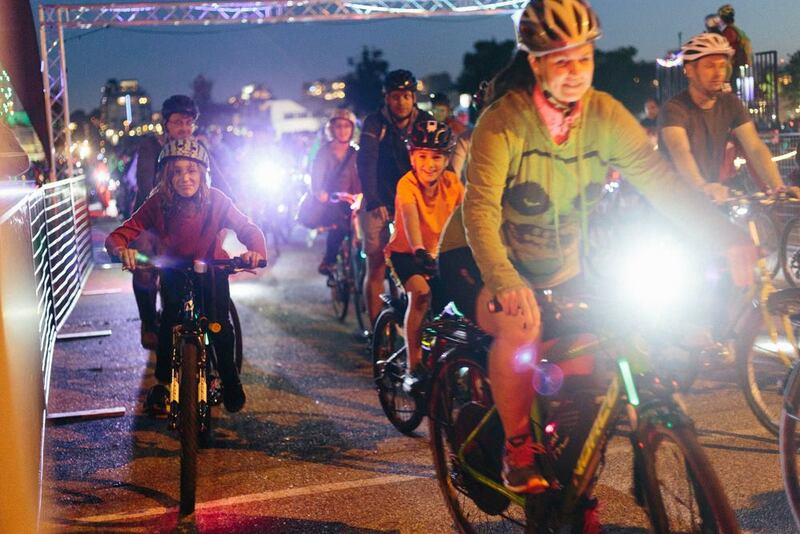 HUB Members also get 25% off Bike the Night tickets and much, much more. 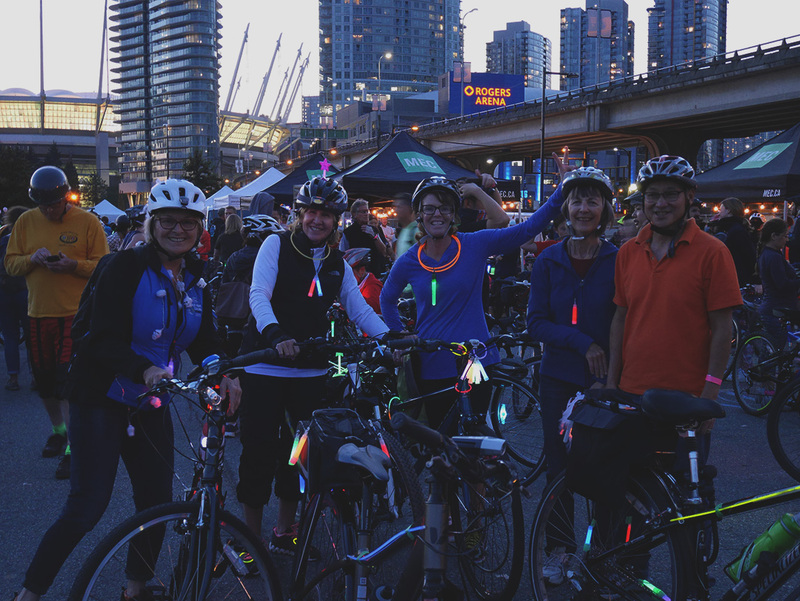 Join HUB as a member and help make Metro Vancouver a safer and better place to cycle. You'll be joining a rad community and will get great benefits including discounts at over 40 bike and gear shops, deals on car and bike sharing, and invites to fun events throughout the year. If it’s nice out, we bike the night. 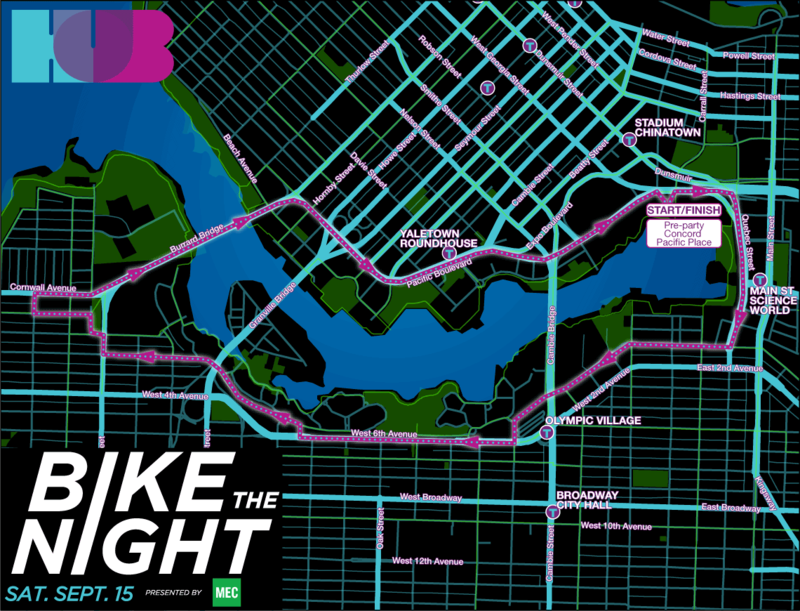 If it’s sprinkling, we bike the night, if it’s raining… you better believe we bike the night! MEC has got you covered for whatever Vancouver throws at you. Definitely! The route will be accessible for people of all ages and abilities. Plus children and youth under 16 are free! Mobi by Shaw Go, will be offering free 24 hour bike share passes to all registered participants. The promo code will be in your confirmation email when you register. Leave no Trace – dispose of your trash responsibly in the bins provided. We want to host this event again next year! Stay hydrated! Bring a refillable water bottle, we will have a water station on site for you to fill up and reduce waste! Be prepared in the unfortunate case of an incident on your bike, or when encountering a dangerous situation on a bike route. Use these resources to better understand what to do and how to protect yourself. All Bike the Night participants will receive in their ride packages a wallet card containing important and useful information sponsored by David Hay, Q.C., of Richards Buell Sutton LLP. What are the best lights to use? You can not bike the night without lights! Here are some of our favourites from MEC. Keep the party rolling with this spoke mounted light. Choose from 6 colours, or cycle through the colours for a 2-wheeled light show. Makes you more visible from the sides. Motion activated valve stem lights that are sure to catch the attention of the most dazed drivers on the road. This bright commuter light recharges from your computer, at home or at work. You can use it for added visibility even when riding in daylight, without worrying about running out of juice when it's dark. This small light has a single white LED that burns for 100s of hours. Great to have on hand to deal with power outages or to make yourself more visible as a pedestrian or cyclist. This compact little light fits in a pocket. It works as a front or rear light and charges in a couple of hours stuck in a USB port.